The financial services industry encompasses many types of businesses involved in managing money, and it plays a vital intermediary role in the world's economy. The industry as a whole is vast and includes companies engaged in activities such as investing, lending, insuring, securities trading and issuance, asset management, advising, accounting, foreign exchange, and more. Because of its large and diverse landscape, the financial services industry offers a wide range of career options. Retail and commercial banking are subsectors of the financial services industry that people tend to be most familiar with; that's how they do their everyday personal and business banking. These types of institutions offer checking and savings accounts, accept deposits, lend money, issue credit and debit cards, perform foreign currency exchanges, and offer other basic financial products to individuals and businesses. Career options in retail and commercial banking include bank tellers, branch managers, loan officers, marketing and operations executives, and more. Essentially, investment banks are intermediaries that help companies access capital markets, such as the stock and bond markets. They have individual customers as well, but individuals are not their primary source of business. 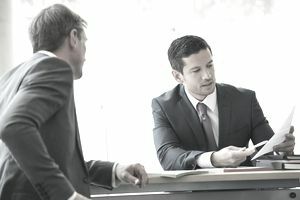 Investment banks generally handle more complex financial transactions, such as facilitating company mergers and acquisitions, issuing shares of stock when a company goes public, acting as an adviser for companies, securities trading, underwriting new debt and equity securities, and performing financial research. Many types of jobs are available at investment banks, including those facilitating mergers and acquisitions, issuing securities, or trading stocks and bonds at the trading desk. Also included are financial advisers and consultants. Hedge funds also have to do with investing, but they are privately owned investment funds as opposed to mutual funds owned by public companies. The types of careers available at these companies include financial advisers, analysts, traders, portfolio managers, and more. These types of businesses involve investing money in private companies in exchange for partial ownership or a percentage of the profit. Venture capitalists usually focus on startups in their early stages with hopes of selling them once they become profitable. Often, these investors or groups of investors play some role in running the companies they’re investing in, and offer their guidance and expertise to help them become successful. Jobs in private equity and venture capital include the investors themselves who are often partners in a firm, their support staff or associates, and analysts. Accounting is another broad subsector within the financial services industry. In general, accountants record, maintain, and analyze financial accounts for individuals, companies, nonprofit organizations, and government agencies. Earning a Certified Public Accountant (CPA) credential is required for some, but not all, careers in accounting. The Big Four public accounting firms are Deloitte, PricewaterhouseCoopers, Ernst & Young, and KPMG. They provide accounting and auditing services to the majority of the largest publicly traded companies in the world. The insurance subsector of the financial services industry exists to help individuals and businesses calculate and mitigate potential risks for financial loss. Workers in the insurance industry include sales reps who sell policies for an insurance company, brokers who work with people or companies to find an appropriate insurance plan, and customer service representatives who help customers navigate their policies. More advanced insurance careers include actuaries, who use advanced mathematics to calculate insurance rates and risks, and underwriters, who evaluate, approve, or deny insurance applications, taking potential risk into account. Insurers employ many people in administrative and technical positions as well. Possible careers in the financial services industry go far beyond the quick rundown listed here. Many financial services jobs can be found at large and small companies that provide the technology that the industry uses, including providers of payment, data security, and stock exchange technology. The North American Industry Classification System provides in-depth detail on the various financial services in the industry under Code 52. You can also use it to find in-depth definitions of each sector within the industry.